At the end of this post, please share your family advent traditions with us. To make the inexpensive faux tree look a little more important, I placed it in a special bucket style tree base (Ballard Designs). Felt tipped feet make it easy to slide the tree around until I find the perfect spot for it to stay. At first I was stumped as to what I should put in the bags. My whole goal was to make this a family event each night, something the five of us would do together. For an element of surprise, I stuck candies in a few of the bags. 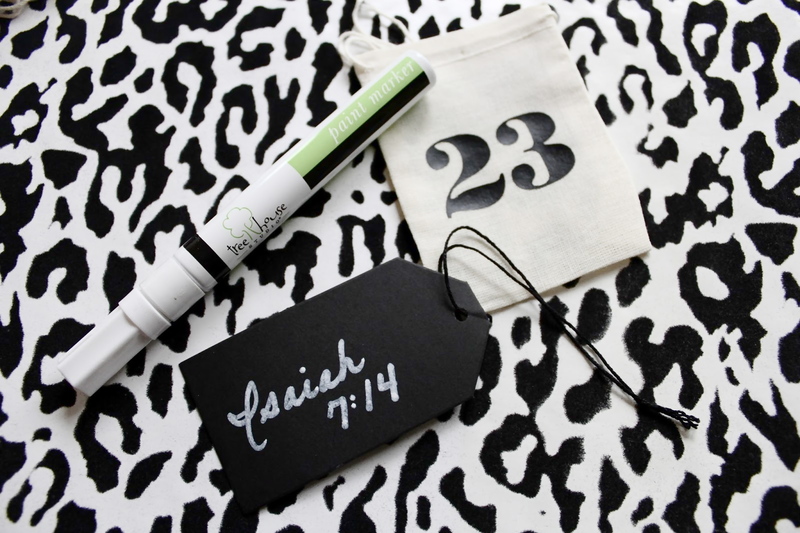 For the rest, I used black gift tags and a white paint marker to make little tags that state a bible verse for us to reflect on or a Christmas carol for us to sing. The muslin bags came with the cutest, tiniest, black clothes pin which made it easy to clip the bags on the tree. 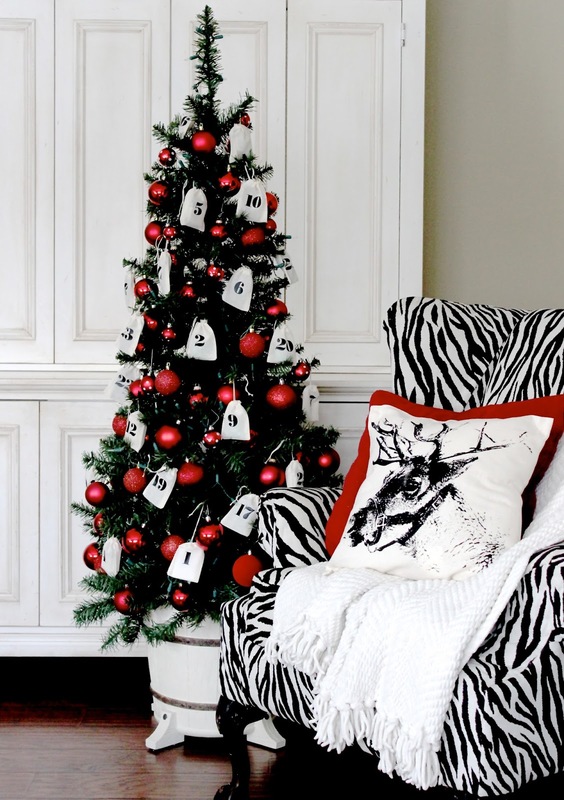 Plain white lights and red balls make this tree a festive holiday decor accent. 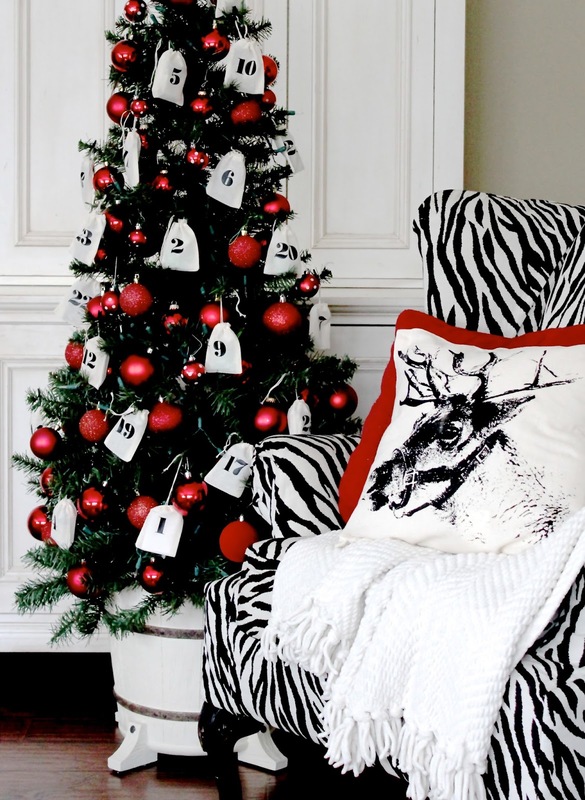 The bold, black numbers provide graphic interest which is very hot in Christmas decor right now. Our advent tree looks really cute in the family room, but the dining room would make it convenient to do our activity every night after dinner. It also gives the room much needed Christmas bling. I may move it around a few times this season. What is your family advent tradition? 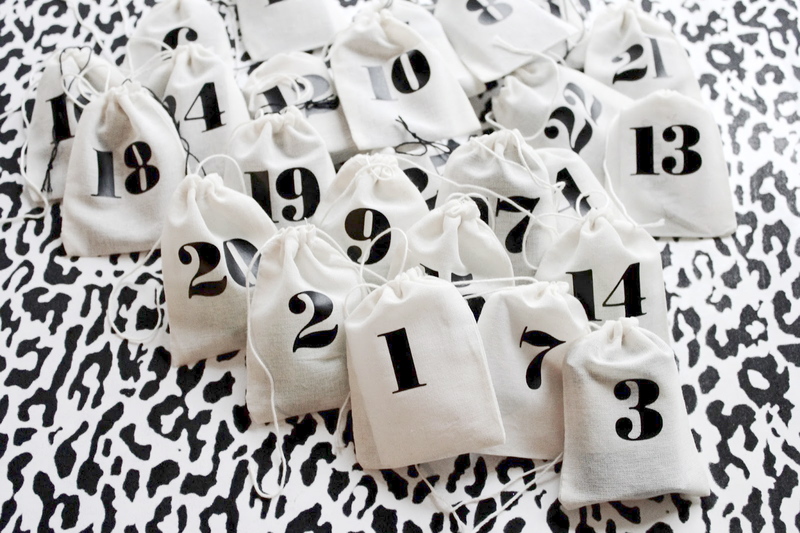 Do you have an advent calendar, and if so how do you use it, or what do you put in it? Please tell us in the comments. We do a similar idea but with small stockings that we hang on a garland that is on top of our buffet in our kitchen. 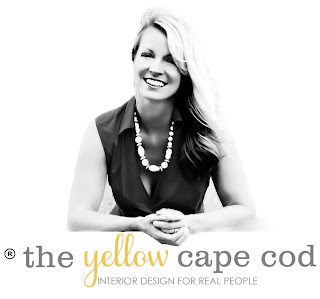 Everyday there is either a small candy, christmas ornament, or family activity for the kids. They look forward to it every year and the garland looks really festive once several stockings are hung. We have a Jesse Tree. We also have decorated match boxes for a fun activity each day...hot cocoa, movie night, look at lights, etc. Beautiful! 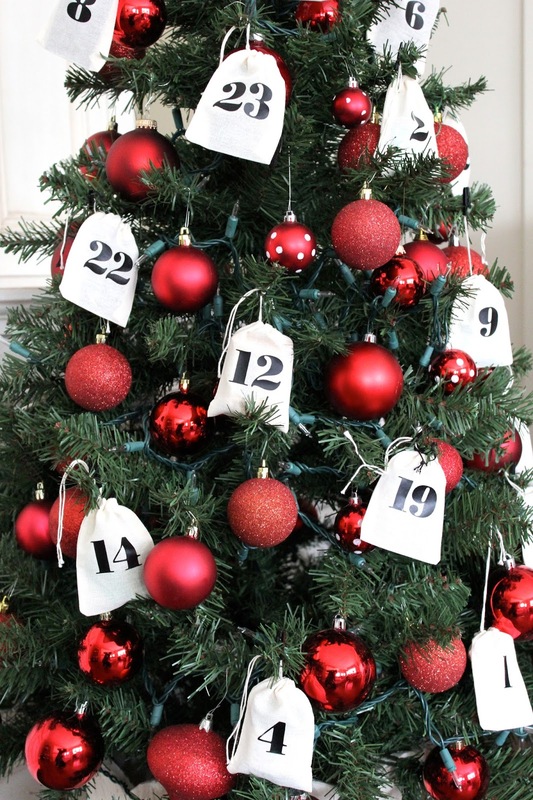 I've been looking for a way to display an advent calendar. Usually Grandma sends one filled with chocolate and you just open the doors. It's a cute idea but it's cardboard and not very attractive. What size tree did you get? Looks beautiful!